As of May 1, 2015 U.S. citizens visiting Bolivia as tourists should obtain an entry visa prior to travel. You can apply for a Bolivian tourist visa through the Bolivian Consular Offices in the United States, Bolivian Consular Offices in any other country and, under certain circumstances, the land and airport port-of-entry offices of the Directorate General of Immigration. The U.S. Embassy in La Paz, Bolivia is aware of reports of American citizen tourists receiving Bolivian visas issued by Bolivian Immigration authorities at the port of entry. For more information, we refer U.S. citizen tourists to the unofficial English translation of the Bolivian Supreme Decree issued on May 1, 2015 (available here) and to Bolivian Consular Offices and Immigration authorities. The validity of tourist or visitor entry visas for nationals of the United States is ten (10) years, with multiple entries for a stay of thirty (30) calendar days for the purpose of tourism that does not include conducting any sort of paid or for-profit activity. Tourists may extend their 30 day stay up to a 90 day stay through the Bolivian immigration offices. The maximum period of stay for tourists is ninety (90) calendar days per year. The additional periods can be consecutive or nonconsecutive within a one-year period. You should allow plenty of time for processing when applying at a Bolivian consulate. In addition to the visa fee of $160 USD, you must present a visa application form with a 4cm x 4cm color photograph, a passport valid until the date of departure from Bolivian territory, evidence of a hotel reservation or a letter of invitation in Spanish, round trip ticket or copy of itinerary, proof of economic solvency (credit card, cash, or a current bank statement), and an International Vaccination Certificate for yellow fever. Bolivian consulates in the United States are located in San Juan, Los Angeles, Miami, Houston, New York City, and Washington, D.C. The applicant’s U.S. passport that shows the applicant’s place of birth as Bolivia. Children born in the United States of Bolivian parents, pursuant to article 36 of the Bolivian Political Constitution, are Bolivians by the mere act of settling in the national territory or registering in Bolivian consulates. For such purpose, the parents of minors up to 12 years old shall appear in person at any Bolivian consular office to proceed with the registration of the birth of the minor, attaching a legalized photocopy of the U.S. birth certificate. The U.S. Embassy in La Paz, Bolivia does not legalize any type of documents. Children older than 12 years or adults regardless of age, who are children of Bolivian parents, and who have not registered their birth in a consulate, may not avail themselves of the above benefit. Law N. 2616 of December 18, 2003 establishes that the registry of birth only may be realized through an administrative procedure at the Bolivian National Electoral Court – Bolivian National Civil Registry in Bolivia, after having realized the process of naturalization in Article 36 of the CPE before the National Immigration Service. Dual Nationals: Upon entering and/or departing Bolivia, U.S./Bolivian citizens may be required to show a valid Bolivian identity document, such as Bolivian cedula de identidad, upon entering and exiting Bolivia. Please note that the name on the Bolivian identity document should be the same name as it appears in the U.S. passport. Traveling With Pets To The U.S. In order to take a pet to the United States you will need to obtain a rabies and health certificate from your veterinarian. You will then need to take this certificate to the Jefatura Nacional de Sanidad Animal at Servicio Nacional de Sanidad Agropecuaria e Inocuidad Alimentaria (SENASAG). SENASAG will issue a document called “Certificado Zoosanitario para Animales de Compañía”. Present this document to Bolivian and U.S. Customs authorities. If you wish to travel with any other pet than dogs or cats, you should visit the U.S. Customs website: http://www.cbp.gov/. Traveling With Minors To The U.S. Even if your child acquired U.S. citizenship at birth and has been issued a U.S. passport, if he or she was born in Bolivia, under Bolivian law the child will be a Bolivian citizen. All births in Bolivia must be recorded with the Bolivian civil registry officials. Under Bolivian law, a person under age 18 is a minor. In cases in which one parent wishes to travel with a minor alone, or if the minor wishes to travel alone, the accompanying parent or solo traveler minor must obtain a legalized authorization from the non-traveling parent or from both parents consenting the child’s departure from Bolivia. U.S. citizen parents of Bolivian citizen children may wish to prepare this authorization should emergency travel be necessary. For more information, please contact Bolivian immigration authority, Servicio Nacional de Inmigración, at telephone number (591-2) 211-0960. Certified copy of the U.S. birth certificate apostilled by the U.S. Department of State Authentications Office. Spanish translation of the U.S. birth certificate notarized by a Bolivian Consul in the United States. Certification of eligibility to marry, such as death or divorce certificates for prior marriages, or certificate of no record of marriage from prior U.S. state of residence apostilled by the U.S. Department of State Authentications Office. These documents need to be translated to Spanish and then notarized by a Bolivian Consul in the United States. Proof of three months continuous residence in Bolivia. This can be waived at the discretion of the local official. Note: U.S. Consular Officers are authorized by law to perform limited notarial services abroad in connection with certain documents to be presented in the United States. 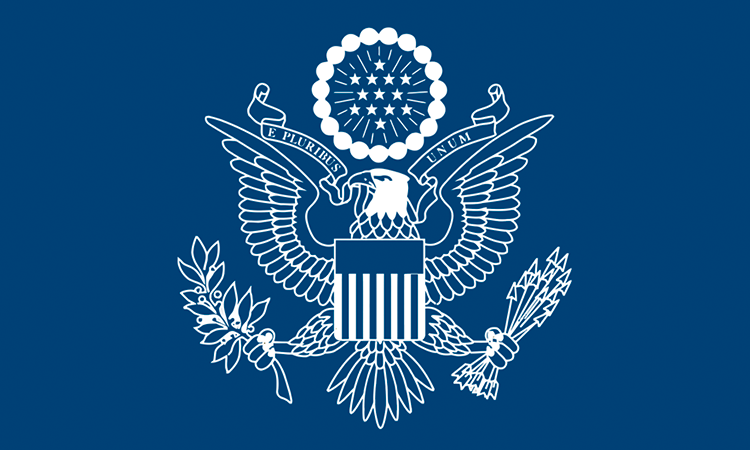 U.S. Consular officers may not perform notarial services in connection with documents for presentation in the host country. Only civil marriages are recognized as legal in Bolivia. Civil marriages are performed by a civil registry official, either before or after a religious ceremony. Although the age of majority in Bolivia is 21, men can marry at 16 and women at 14 with permission from parents or guardians. Exceptions can be made for pregnant minors whose parents refuse permission and for orphans (orphans must have permission to marry from the Tribunal Tutelar del Menor and from the Juez de Familia). As in the United States, marriage is not permitted between close blood relatives, and bigamy is against the law. Marriage is forbidden in some circumstances, including the mentally ill. Widows, divorcees and women who have had marriages annulled cannot remarry sooner than 300 days after the death of a husband, the date of the final decree of divorce or the notice of annulment. Marriages performed outside the United States are generally recognized in the United States. In order for a Bolivian Marriage Certificate to have legal validity in the United States, it should be apostilled by the Bolivian Ministry of Foreign Affairs. Tourists can rent a car with their valid state’s driver’s license. U.S. citizens living, studying or working in Bolivia can get a Bolivian driver’s license at the Servicio General de Identificación Personal (SEGIP). Please contact SEGIP for any questions in connection to the Bolivian driver’s license or how to validate your U.S. driver’s license. Tourists who wish to enter Bolivia on their own private vehicles must register the vehicle in the SIVETUR system (Affidavit of Entry and Exit of Private Vehicles for Tourism) at the following address www.aduana.gob.bo -> SERVICIOS -> APLICACIONES SIVETUR or at www.aduana.gob.bo -> Viajero -> Registro de Vehículos Turísticos. Tourists must take into account the period established for the permanence of their tourism vehicles in Bolivian territory. According to Bolivian legal regulations, if the term of authorized stay expires and the vehicle is still in Bolivian territory, the vehicle will be confiscated by Bolivian authorities. The Consular Section at U.S. Embassy La Paz only collects fingerprints in relation to active visa applications and upon request by USCIS. The Consular Section is unable to provide fingerprint services for any other Bolivian or U.S. process. The local offices of INTERPOL are available to provide fingerprint services in relation to applications with the Bolivian government.